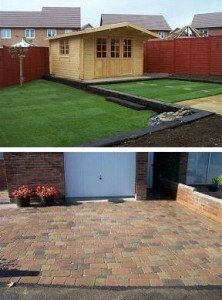 Boyde Landscapes is a family run business based in Bedford, Bedfordshire. We cover Beds Herts and Bucks and surrounding areas. With over twenty eight years experience in landscaping in both residential and commerical areas. We have many written testimonials and these are available on request. We are proud that the majority of our business is gained by personal recommendation. Mark Boyde, is a fully hands on proprietor of Boyde Landscapes, with his wife assisting with the day to day running of the company and ensuring 100% complete customer satisfaction. We not only source the right materials for your job including using leading brands such as Marshalls, Stonemarket, Indian Stone. We are proud of our growing list of suppliers to ensure that we source not only what you need but that it meets our exacting standards. Boyde Landscapes, One phone-call away from a garden to be proud of.